Ronnie Earl, the blues guitarist probably most acclaimed for expressive control of his instrument, marks the 25th year with his Broadcasters with a new live album. Just For Today, recorded at three Massachusetts venues, shows much of the unit’s scope as the combo runs through a set of shuffles, slow blues, jazz, Broadcasters music, and soul ballads. Soul and tone, two qualities often identified in Earl’s music, are abundantly present in every note played. Consider Earl’s composition “Blues For Celie.” On this slow blues, he takes a languid first few choruses, outlining ideas in chords and single notes with subtle tonal shifts. The number has no head to speak of, but Earl maintains thematic unity as the lines flow, and explores every variation in intensity, from whisper-quiet musings to a stirring climax. “The Big Train” simply cooks. Earl’s lead work alternates short, vocal phrases with longer lines that spill across measures, employing hammered-on double-stops and soaring, bent notes. Dave Limina’s Hammond B3 fills out the sound with a great touch and splendid tone, whether he is comping behind Earl or delivering an ovation-worthy chord solo. The tune hangs on a simple riff, and is taken at an unhurried pace, yet the way Lorne Entress (drums) and Jim Mouradian (bass) and play together creates a perfect, unstoppable momentum. It’s hard to tell whether the false ending was planned, or if Ronnie was digging the groove so much that, in the heat of the moment, he felt compelled to lead the combo through another round. Earl takes a couple of fine choruses on “Vernice’s Boogie,” but this rollicking piano boogie-woogie is Limina’s show. An old Earl favorite, the hard-driving “Robert Nighthawk Stomp,” also features strong 88s, as well as an ear-grabbing, very neatly phrased Earl solo that very briefly quotes “Smokestack Lightnin’.” Limina’s extended introduction to “Ain’t Nobody’s Business” is likewise played on the ivories, though he shifts to the organ once Earl steps in to outline his take on the melody, coaxing from his guitar the sweetest lines imaginable. The moving reading of John Coltrane’s “Equinox” suggests that it is a favorite of the band: Limina and Earl turn in lovely solos over a subdued, Latin-inspired groove. “Pastorale,” “Miracle,” and “Heart Of Glass,” round out the setlist. 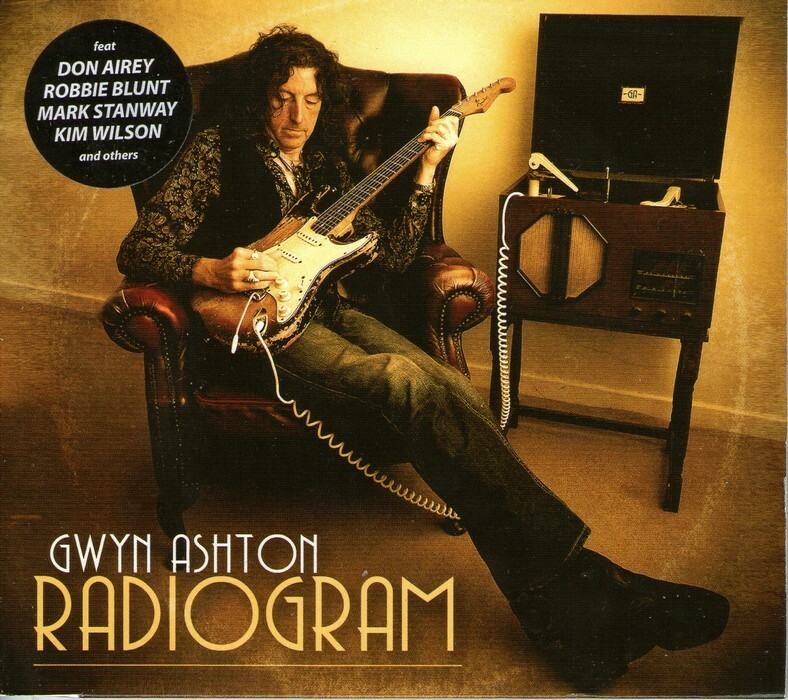 These three songs, examples of what I earlier called Broadcasters music, are not formally blues in their chord structure; their melodic content is likewise more sophisticated than traditional blues tends to be. Not exactly jazz, and surely not rock, they are akin to tone poems that give Earl a chance to express himself in different contexts. 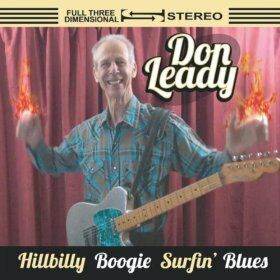 “Blues For Hubert Sumlin” is a purely wonderful slow blues with a long, hushed middle section that gives Earl’s bent notes, conversational phrasing, and skittering lines center stage, before bringing things to a boil. In the end, it matters little that the song offers nothing that much recalls Hubert’s highly idiosyncratic playing. Similarly, on “Rush Hour,” a thrilling, mid-tempo box shuffle intended as a tribute to Otis Rush, Earl’s ideas sound more like his own, a few backward rakes across the strings notwithstanding, than they do the great southpaw’s. The band’s powerful swagger on “Jukein’” inspires Earl and Limina to special heights. To these ears, it is the best track here for spirit, rhythmic creativity, and tonal exploration. That intensity carries over into the oft-covered Etta James classic “I’d Rather Go Blind,” here sung creditably by Diane Blue. Earl does a superb, Steve Cropper-esque job of gilding his solid rhythm arpeggios with interesting fills, and his lead break is a model of tone and taste, saying a great deal with very simple materials. Such communication is the essence of this kind of music, and no one does it better than Ronnie Earl. The current Broadcasters lineup, consisting of veterans who have played together for some time, is confident and comfortable, yet such is their skill and heart that they never sound dispassionate or uninspired. Long instrumental programs are not everyone’s cup of tea, and even Earl’s most ardent fans have sometimes, probably justifiably, felt that they have heard him do it all before. But Just For Today sustains an exceptionally high level of engagement, excitement, and emotion. 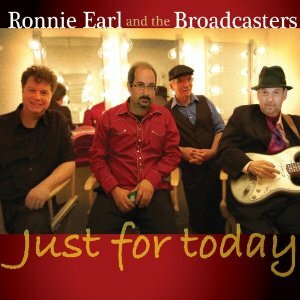 Ronnie Earl and The Broadcasters have produced an anniversary gift that is little short of amazing. The Tennessee-based Loud Pack ply an especially appealing version of contemporary blues. Their Memphis Mix EP was originally slated to be a full-length album. When half the recorded tracks vanished (computers improve our lives, don’t you know? ), however, the band decided to make what remained in the can available as an EP, in order to raise funds to help the Pack take part in the 2013 International Blues Challenge. It’s a good thing for the rest of us that they did. The Loud Pack is a tremendously exciting band, firmly rooted in traditional blues but with a solid dose of sweet soul. Dig the very first track on the Mix EP, “Gonna Be Fine.” Steve Michel (guitar), Ryan Johnson (bass) and Jared White (drums) lay down a solid, mid-tempo shuffle. Stevie Jones’s organ pad tips the scale in the direction of greasy Memphis soul. And when Big Gene Chandler begins to sing…well, it’s all over. He’s got that elusive “it,” that edgy, emotive quality to the voice that all the best deep soul singers had. Among contemporaries, Tré Williams, Tad Robinson, Curtis Salgado, John Németh, and Ryan Shaw are there, and not many others. Danny Lee Michel’s guitar lines are terse and incisive, a bit jagged (the better to create tension), and eminently toneful. A great melody and sensible lyrics seal the deal. “Gonna Be Fine” establishes high production values that characterize the rest of the disc, but it’s hardly a template: this is a varied set unified by an unshakable, soul-blues sensibility. “Good Lovin’” is a powerful slow number, rooted in the pure blues approach of the rhythm section and in a dynamite organ part, pushed into edgier territory by the guitar fills and leads. 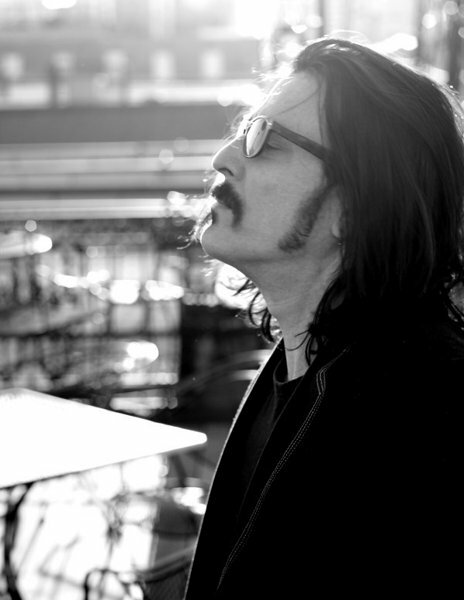 “Tennessee Blues” alternates hard funk verses with deeply melodic choruses; its bold chord changes and mood shifts give Big Gene the chance to demonstrate a wide range, while Danny Lee dials in an aggressive (yet still blues-approved) sound, making his super-slinky lines pop out of the mix. The Loud Pack plays straight ahead blues just as effectively. Consider the rhythm arrangement behind “Fess Up,” which recalls Magic Sam’s groundbreaking infusion of soul into his blues, with perhaps a bit of the drive and intensity of Otis Clay’s live sides. There’s a great, fat-toned organ solo from Jones here. “Change In Things” offers a slower groove, based in Danny Lee’s Robert Lockwood Jr.-inspired guitar lines. The lead work on this cut is left to guest artist Paul Linden, a veteran of Sean Costello’s band, whose swooping, imaginative, and athletic harmonica lines echo Walter Horton’s. 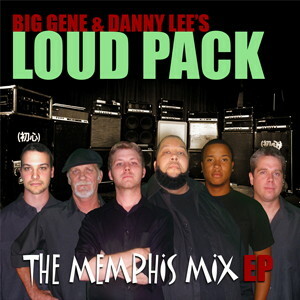 Based on The Memphis Mix EP, it is hard to believe that Big Gene and Danny Lee’s Loud Pack did not advance to the IBC finals. Their songwriting is appealingly catchy. The rhythm section has an unfailingly good feel, and the keys and guitar up front balance the solo options and the sound. Both Jones and Michel have terrific instincts, and play with creativity and great tone. And Big Gene is a truly exceptional singer. This project blends as well as anything out there a pure blues aesthetic with just the right elements of modern R&B, and avoids any whiff of the pre-packaged sound that permeates so much contemporary soul blues. I can’t say enough good things about this must-hear music.